For the most demanding settings, the L9 Club is the highest-quality treadmill available anywhere. Engineered for the serious runner, its large 55.88 cm x 160.02 cm (22" x 63") running surface, thick 8.89 cm (3 ½”) steel rollers and up to 226.8 kgs (500 pound) user weight capacity will handle even the harshest institutional needs. The L9 Club treadmill's rich and innovative standard features are all about the details. 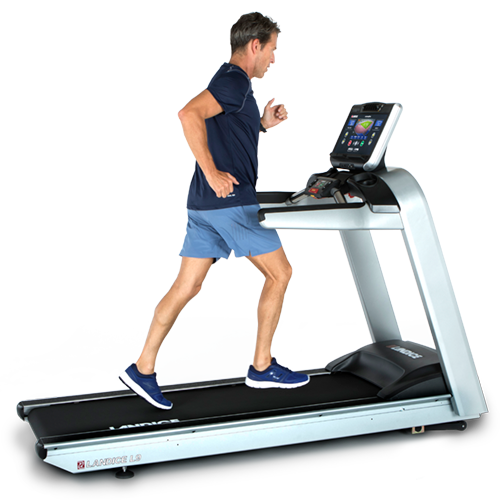 The Landice L9 Club Treadmill is available with your choice of three control panels. Customize your Landice L9 Club Treadmill to suit your running style, workout goals and personal preferences. The Landice L9 Club treadmill is built to withstand the harshest workout environments.